Who, coming at least once to Sicily, has never seen a Moorish head in a balcony, or in a traditional Sicilian Restaurant, or in the many pottery shops we have? 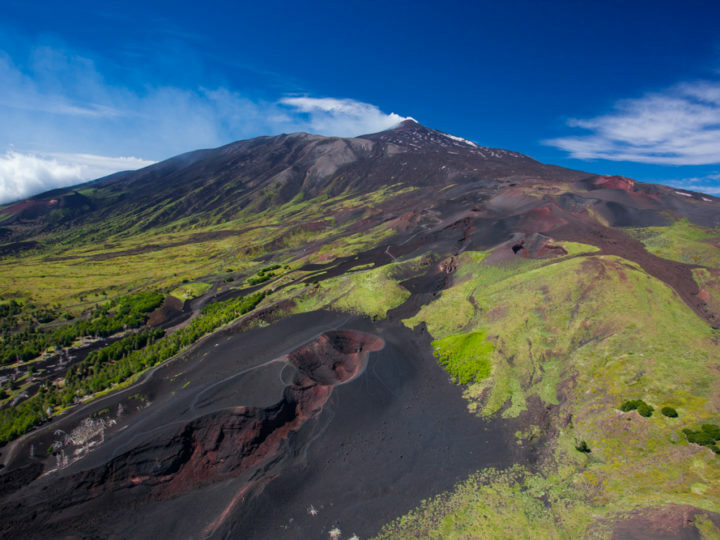 The art of Maiolica pottery was brought to Sicily by the Arabics who taught Sicilian how to create these wonderful objects, now real peieces of art. There are many different types of items that can be crafted, distinguished by their color patterns, the shape and the motifs painted on the pottery. But, without any doubt, the most popular and fascinating ceramic objects are the Moorish Heads or Teste di Moro. 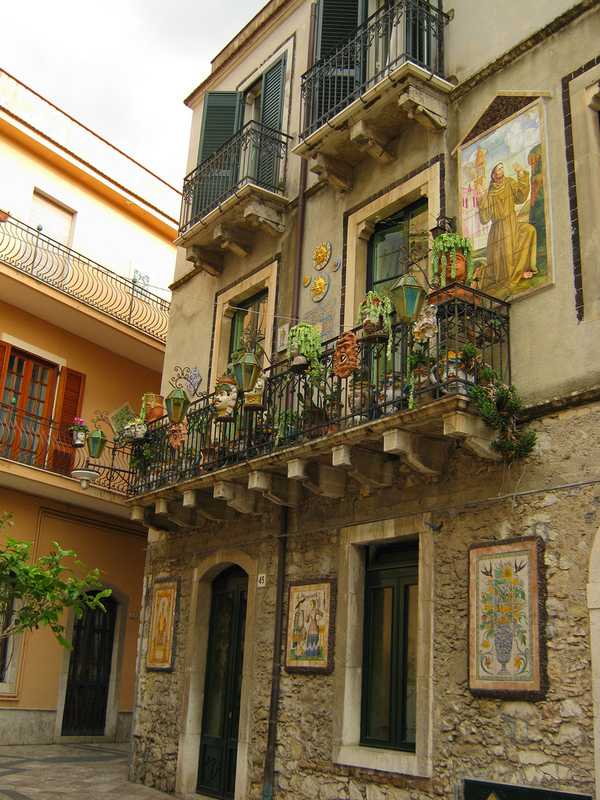 Walking through the many narrow streets of Taormina, you may end up in Via degli artisti, an incredibly beautiful street embellished by Sicilian Majolica ceramics designed by a local artist. At the top of his house you will find these beautiful ceramic heads pots where blooming plants grow inside. 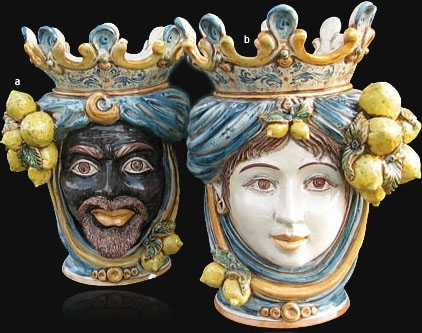 Today there are several varieties of ceramic heads, but the traditional ones show a black man and a beautiful girl. 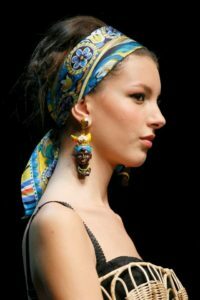 True or not, romantic or creepy, today these Mori represent the Sicilian ceramic art all over the world, thanks also to Dolce&Gabbana, who often use characters and items of the traditional Sicilian folklore and have recently launched a collection inspired to the Moorish Heads. These unique pieces of art and the legend behind them have taught us one important thing: if you ever fall in love with a Sicilian girl, be careful not to break her heart! Thank you, I’m staying in Taormina and wanted to know what these heads were all about! 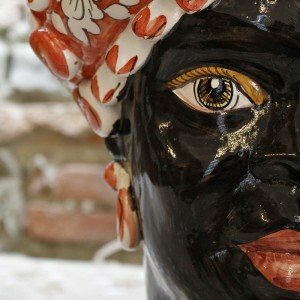 This post is about being African American with an upcoming trip to Italy, and a by-chance visit to an antique store in Gladewater, TX where I saw two Moors head sculptures proudly on display in the “Italy” section and wanted to know more about them. The store owner provided me with some incredible history. Of course I turned to Google for more information, and came across this most nteresting article. All combined definitely adds more anticipation to my trip. Hi Velma, thank you so much for taking time to read this article. 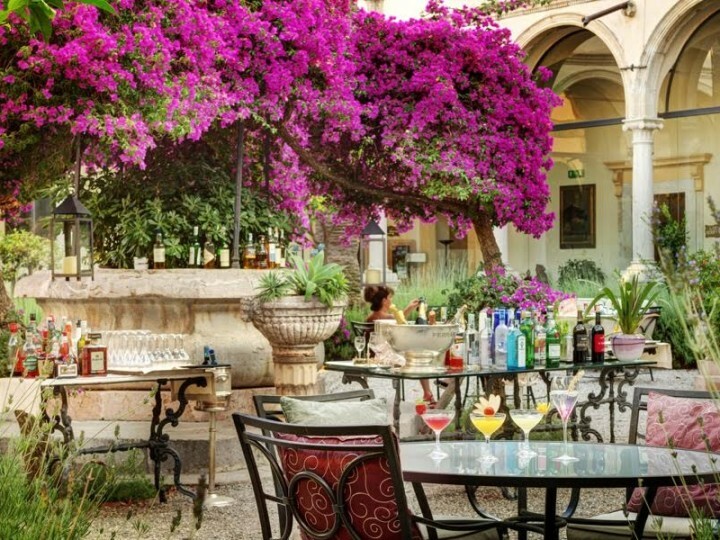 Please let me know if you will pass by Taormina, it will be lovely to meet you! We are @twobellezze and want to follow you on instragram & reference your article on our Taormina content. Do you have an Instagram account? Hi! Thank you for taking time to read this article and for sharing. You can follow us on @experiencetaormina, while my personal Instagram account is @vitagran.